Whether you supported or opposed the construction of the Eastside’s light rail system, light rail is coming to Bellevue. Residents in Seattle are discovering the advantages and convenience of being connected from downtown Seattle to SeaTac, Capitol Hill to the UW. As is the case in other parts of the country where light rail has existed for years (Portland, Boston, Chicago, NYC, Washington, DC to name a few), property values benefit from being located near a rail station. In major metropolitan areas on the East coast and in the Midwest, homes within walking distance of a rail stations are marketed as being more desirable, having more value and command higher prices. In Seattle homes and condos in neighborhoods located near the light rail stations have seen an increase in median prices. Buyers are willing to pay more for the convenience of living close to transit. In Bellevue, where completion of the light rail system and stations is still several years away, homes close to proposed light rail stations are in high demand and being located near a station is definitely a marketing tool and a positive selling feature. While increased bus service is also needed, unlike buses, which get stuck in the same traffic you’re sitting in on I-90 during rush hour, light rail has a clear path station-to-station, significantly reducing commute time. Take a look at the link below for a video, courtesy of Sound Transit, which gives you a look at the Eastside’s light rail system and station locations. The Bellevue Jazz & Blues Festival, in full swing this weekend, kicks off a summer full of downtown events and activities. July’s Four on the Fourth dog run/walk is just weeks away followed by the annual Bellevue Arts Museum’s BAM ARTSfair July 29th through 31st. 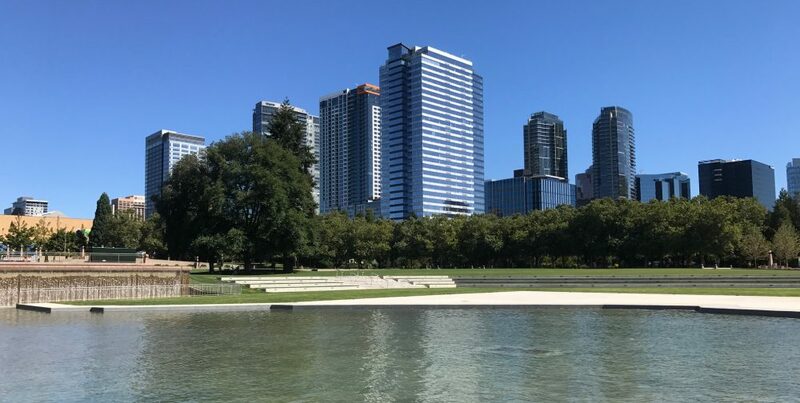 Downtown Bellevue’s summer concert series kicks off July 5th with local and regional artists performing every Tuesday, Wednesday and Thursday from noon to 1:30 through September 8th. Sponsored by the Bellevue Downtown Association, the 30 free concerts are located at area commercial building plazas.